Bring the party to Phil's Sewing Studio and enjoy a hands-on workshop of your choice with your girlfriends, classmates, and family. A sewing party is a great way to be creative and learn new sewing skills with your friends! 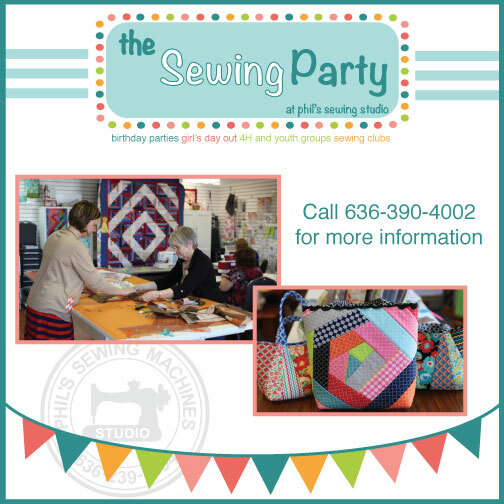 To book the Studio and a Phil's Sewing Instructor for your Private Party, call (636) 432-2146. Costs vary per workshop - call for details. Parties must contain 6-10 people. Payment due in advance. Refunds not given. Snacks and non-alcoholic beverages permitted.